Every day, we are faced with rather insurmountable challenges that greatly affect our lives in almost all of its aspects. And regardless of whatever job we have, these challenges are definitely a no respecter. However, we realize that there are certainly important reasons of pushing through thick and thin, hurdling at huge lumps of mud and exploring the vast future ahead. Here we feature an interview with a registered nurse with more than three decades of service in hopes of giving you first hand information about coping up with some of the basic issues concerning nursing career and be at hand with some things regarding the profession. 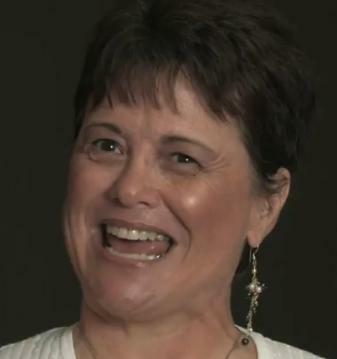 Kim McAllister, RN is a famous blogger and practicing emergency nurse. She has appeared in several interviews already posted in YouTube and in other blogs. One of her works has been featured by Dr. Kevin Pho, MD in his own blog the kevinmd.com. She maintains a weblog at www.emergiblog.com named EmergiBlog. Q: You have been in the nursing industry for quite a long time already. Please give us a brief recap of how you became a nurse and your career went through. I decided to become a nurse when I was nine years old. My great-grandmother had given me “Cherry Ames, Student Nurse” for my birthday and I decided right then and there nursing was for me. Although I wanted to attend a diploma program (like Cherry), we could not afford it, so I attended Ohlone College and received my ADN. Almost thirty years later I decided to go back to school and graduated with my BSN from the University of Wisconsin, Green Bay in May, 2010. I began my career in coronary care, moved to intensive care and then into the emergency department. Interspersed along the way I did stints in telemetry units, psychiatric nursing and pediatric telephone triage. Q: What is your main purpose of putting up a blog? I love to write. In the beginning the idea was just to write about what it was like to be an ER nurse, but the more became involved with the blogosphere I realized I enjoyed the camaraderie and feedback from nurses all over the world. Q: How do you manage to be a full time nurse and at the same time an online blogger? Actually, I work a 3/5 schedule with the occasional extra shift and now that I am out of school it is a lot easier to juggle work and writing! Sometimes I will head to my “office” to blog, which happens to be any local Starbucks with comfy chairs! There has never been a conflict between my work and my blogging, in fact, I started my blog at work during one slow night in the ER! My co-workers know I blog and I find that not blogging anonymously keeps me accountable. Q: What benefits does blogging give you as a nurse and as a person? It started as just a fun thing to do. Over time, the more I wrote about nursing, the more I appreciated just what an amazing profession nursing is. We tend to get caught in a rut and we lose sight of the big picture. Emergiblog helped me get my enthusiasm back for the profession. It increased my respect for nursing itself as a profession, and for myself and my colleagues as professionals. It has exposed me to issues and given me a broader, global view of nursing, health care and the world in general. Not to be too dramatic, but blogging has made a huge difference in my life and I can’t imagine what the last five years would have been like without it. Q: How do internet and technology affect your life as a nurse? I am all about the technology! LOL! As a nurse, the internet affects me because it affects my patients. Patients are coming into the ER much more informed because of the internet. They are looking up symptoms and coming in with specific questions and often heightened anxiety over what they have found. My role is to help them decide what is significant to their situation and what they do not have to worry about. My facility is not using computerized charting, but will be transitioning to that in a year so I am looking forward to seeing how that technology helps (I’m optimistic) improve our ability to give patient care. Q: What is your most unforgettable experience in the ER? Sitting with a patient as they are dying, holding their hand. Q: Do you agree with several hospital administrations about the implementation of color coded uniforms? Sure. As long as the color looks good on me. Seriously, if it helps the patients identify the nursing personnel responsible for their care, I have no issue with it. Q: Have you already experience being rudely approached or nagged by patients or their family members about something you did not even do? How did you cope up with that situation? You cope by realizing this is not about you. By listening to the anger or anxiety behind the rudeness or nagging and responding to that, not getting defensive. People just want to know that you care and that you are listening. Communication goes a long way when it comes to helping people cope with being in the ER or hospital. Q: What is your view about the men in the nursing profession? I don’t think any differently about men in the nursing profession than I do about women in the nursing profession – I stopped thinking in terms of a “male nurse” about two decades ago. We are nurses. Period. Q: What is your favorite get-up as a nurse? Are you a “whites” lover or a scrubs aficionado? I really love white, and I am so freaking old school that if I could wear white and my cap I’d be in nursing heaven! But…white is so impractical, even in scrubs, that I would ruin it in less than a week. 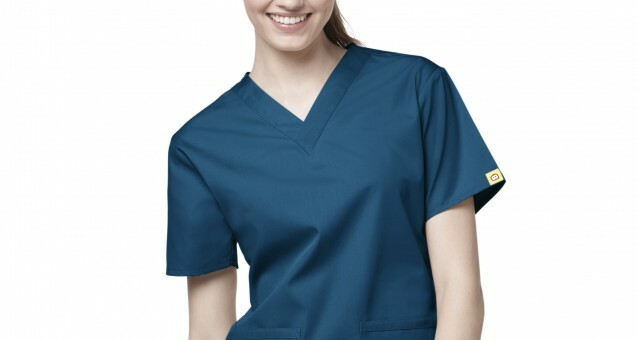 I love scrubs, and I think solid scrubs in a dark color (navy blue, Caribbean blue, forest green, burgundy) or ceil blue look the most professional. Being a nurse of, um, a certain age, I would look ridiculous in cutesy prints or SpongeBob Squarepants and I would find it hard to present a professional front wearing Mickey Mouse. LOL! Having said that, I will occasionally wear a dark floral print with solid pants.